It’s the one day in the year when we all embrace the wonderful pancake and look forward to enjoying it as a sweet or savoury treat. As most people enjoy taking a stab at making some pancakes in their owns homes on Pancake Tuesday (or Shrove Tuesday as it is also known), we thought we’d share our very own pancake recipe with you today. This recipe has a Canadian twist to follow on from our previous crepe suzette with an Irish twist recipe. Maple syrup is a yummy Canadian accompaniment for pancakes. 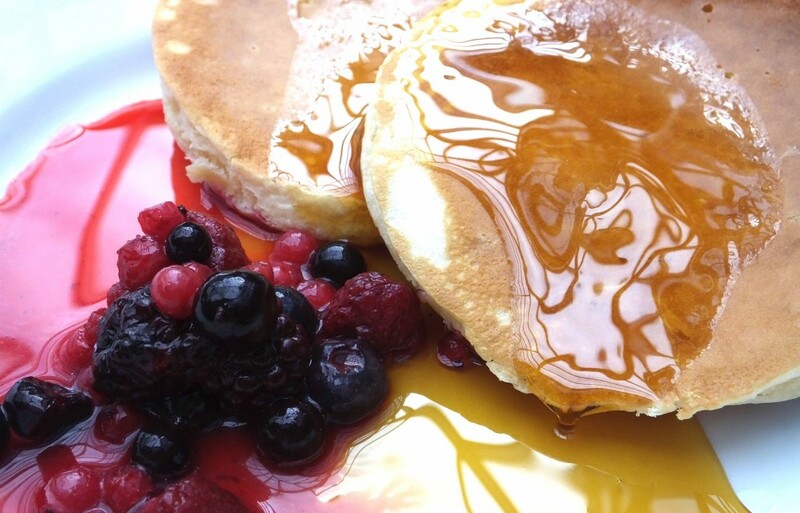 In today’s blog we make light, fluffy pancakes with maple syrup and a tasty and easy to make berry compote. Sieve the flour, baking powder and salt together into a large bowl and stir in the sugar. If you don’t have a sieve you can use a fork to stir the flour mixture and remove any lumps. Make a well in the centre and whisk in the milk, beaten egg and melted butter. Whisk until smooth. Add some frozen berries to a pan with the vanilla and sweeten to taste with icing sugar. Heat this gently until everything is warmed through and syrupy. Now its time to cook the pancakes. Place a large frying pan over a low-medium heat, and grease Lightly with butter. Then, using a ladle of batter per pancake, pour of the mixture into the pan. Cook for about 1 minute on one side and allow bubbles to appear on the surface before carefully turning over and cooking for a further minute. They should be fluffy and golden. Top tip: When you start to see bubbles appearing on the top of the batter, you will know it is ready to turn. 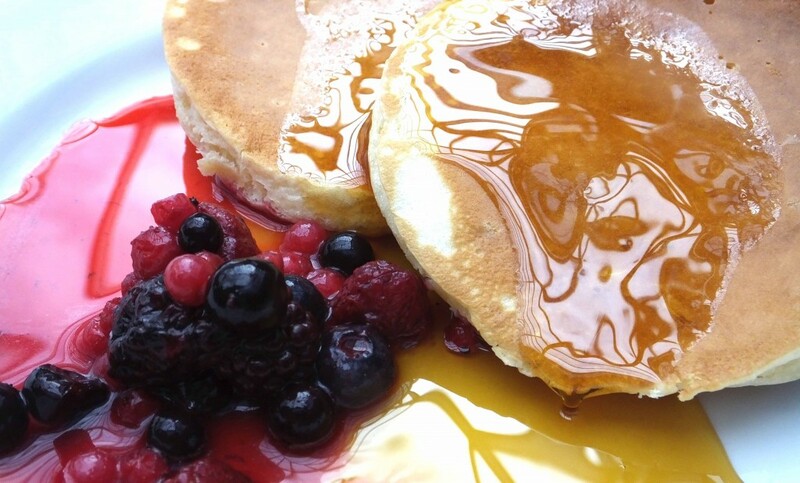 Serve the delicious warm pancakes with some maple syrup and the berry compote. You could even add some cream if you’re feeling naughty!!! Like most of you, we look forward to whipping up a batch of homemade pancakes every Pancake Tuesday. What do you like to take with your pancakes on Pancake Tuesday. Let us know by commenting below or connecting with us on Facebook and Twitter. You can also follow the Twitter love for pancakes by checking out #HappyPancakeDay.